THE SOUVENIR + STÉPHANE COLLONGE + GRACE SNELL | Wizzo & Co. 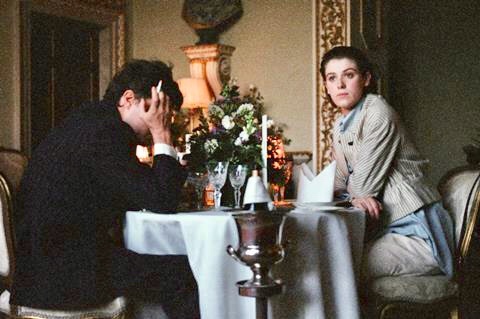 In January The Souvenir won the World Cinema Dramatic Grand Jury Prize at Sundance Film Festival. The British drama was written and directed by Joanna Hogg, and stars Tilda Swinton, Honor Swinton Byrne, Richard Ayodade and Tom Burke and features Production Design by Stéphane Collonge and Costume Design by Grace Snell. The sequel was confirmed prior to the world premiere taking place on 27 January – Part 2 is scheduled to begin production this Summer. Curzon is the official UK distributor, and the film will be released in UK cinemas and on Curzon’s PVoD platform Curzon Home Cinema. Check out Screendaily’s review on The Souvenir Part 1 – HERE.